The ‘Green Seas’ episode of Blue Planet II gave us a glimpse of the beauty contained within some of the world’s seagrass meadows but this only skims the surface of what these amazing plants can do. Whilst the theme of ‘Green Seas’ made for an exciting, interesting, and visually impressive episode, it is worth noting that the ‘green’ environments included have little else in common other than a loose thread linked to a perception of what is ‘green’ in the sea. Kelp forests, phytoplankton and seagrass meadows each have vital but very different roles to play in the functioning of our blue planet. As the programme stated, seagrass meadows are the world’s only marine flowering plant. Just like flowering plants on land, seagrasses have flowers, fruits and seeds but in the absence of insects and the wind, pollination and movement of seeds is supported by marine animals and water currents. You would be forgiven for thinking that seagrass is restricted to the tropics, because although temperate scenes were included, the extent of the near global reach of seagrass was missing. 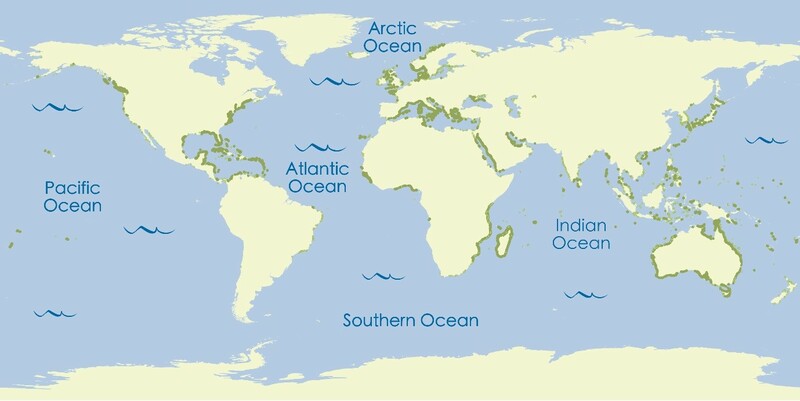 Seagrass is a global resource, it is by no means restricted to the tropics being found on all continents except Antarctica. Known distributions include 125,000 km2 globally but estimates suggest seagrass meadows may cover more than 600,000km2 of the coastal ocean. Seagrasses range in shape and size with some species looking like paddles or tree leaves and others looking more like traditional grass. Globally, there are around 72 species of seagrass. 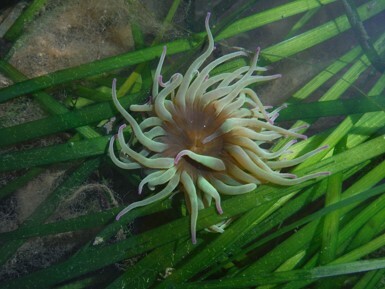 In many places, including the coats of the UK, seagrass plants cover large areas of the seafloor where they are referred to as seagrass beds or seagrass meadows. 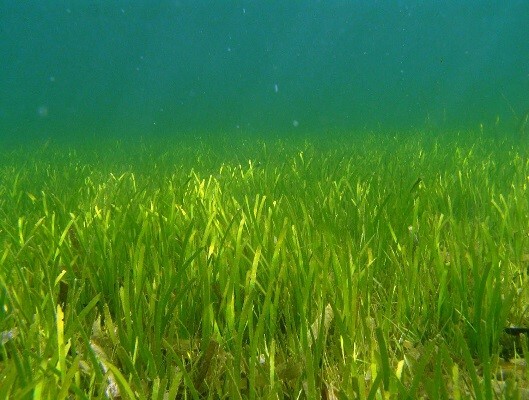 Seagrass meadows are typically found in shallow, sheltered locations. These meadows look much like the grasslands and meadows that you see on the land, and much like African savanna’s these meadows are a great place for animals to hunt and hide. For this reason seagrass meadows are often referred to as the ‘Prairies of the Sea’ as alluded to in the programme. Seagrass meadows range in size and density from small 1m2 patches to large continuous meadows covering tens of thousands of hectares. These meadows can be monospecific or contain multispecies communities with up to 12 seagrass species present. But why is seagrass important? From charismatic and vulnerable species like turtle and dugong to important food fishes like cod, plaice and herring, seagrass meadows support rich biodiversity. More than 1000 species of fish have been recorded in seagrass meadows and examples can be found across the globe where people depend on seagrass for food and livelihoods. Seagrasses also support a rich variety of invertebrate life, we saw the marching spider crabs for example in the latest episode. But that’s not where it ends, seagrass also plays an important role in coastal protection, climate regulation, nutrient cycling, and pathogen regulation. Seagrass holds the sediment together, which helps to protect our coasts from the impacts of storms and large waves (preventing coastal erosion). Seagrass meadows also play an important role in the fight against rapid climate change though their carbon sequestration capacity. In fact, they provide one of the greatest contributions to the total carbon buried in ocean sediments. The removal of carbon dioxide from the water column has resulted in considerable attention being given to the role seagrass plays in altering seawater chemistry and potentially shielding some calcifying animals such as corals and molluscs from the effects of ocean acidification. All of the ways in which seagrass helps humans are called ecosystem services, and these ecosystem services make seagrass one of the most important marine ecosystems for human wellbeing. Seagrasses are at risk. Despite their importance, seagrass meadows are being lost globally at a rate of around 7% each year. Seagrass loss is often linked to coastal development, poor management of watersheds, and overfishing. Poor water quality (particularly raised nutrients) caused by pollution and poor watershed management is the biggest threat to seagrasses globally. Boating, trampling, ports, dredging, and any activity that physically impacts seagrass or alters the conditions around it can put pressure on seagrass systems. Small scale threats to seagrass such as anchor damage can make it harder for seagrass meadows to cope with climate change, ocean acidification and sea level rise. The role of seagrass meadows in maintaining the health of our oceans is clear but these sensitive habitats are declining. Action is required to stem the loss of the world’s seagrass meadows and provide protection to keep up all of the services they provide to people and our oceans. Reducing local stress on seagrass will support their ability to stand up to the impacts of larger scale, longer term stressors like climate change. This means improving local water quality, preventing damage from destructive activities, creating protected areas of seagrass, reducing overfishing and reducing stress from coastal development. Protecting seagrass will protect the biodiversity, carbon capture and storage (to help fight climate change), ecosystem engineering, fisheries support, and other ecosystem services that they provide. Due to their near global distribution and dynamic nature, it is notoriously difficult to map and monitor seagrass meadows. This is why there has been a call to engage the general public in this task. 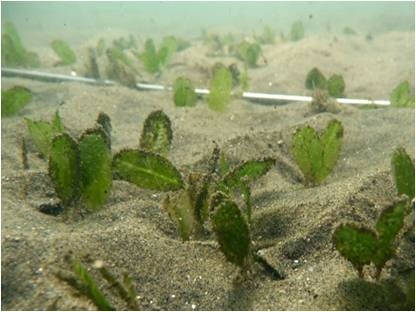 We need support from citizen scientists across the world to map and monitor seagrass meadows. 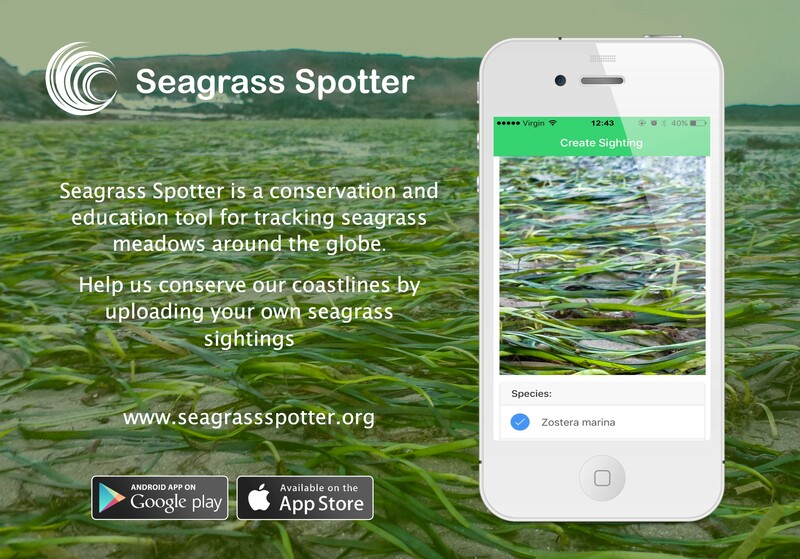 At Project Seagrass (www.projectseagrass.org) we have developed a simple phone app to allow anyone to upload seagrass sightings contributing to a growing global database. From the media, what we need help with is wider recognition for the huge suite of services that seagrass meadows provide globally with greater emphasis on the value and desperate need to conserve our ‘Green Seas’. 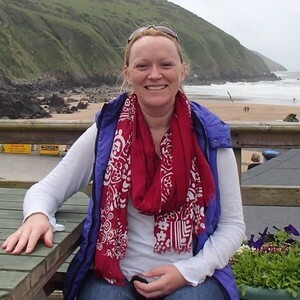 I recognise that the Blue Planet series strives to focus on the positive, which is a good thing, but it could do more to emphasise positive actions that can be taken to maintain the health of our blue planet.